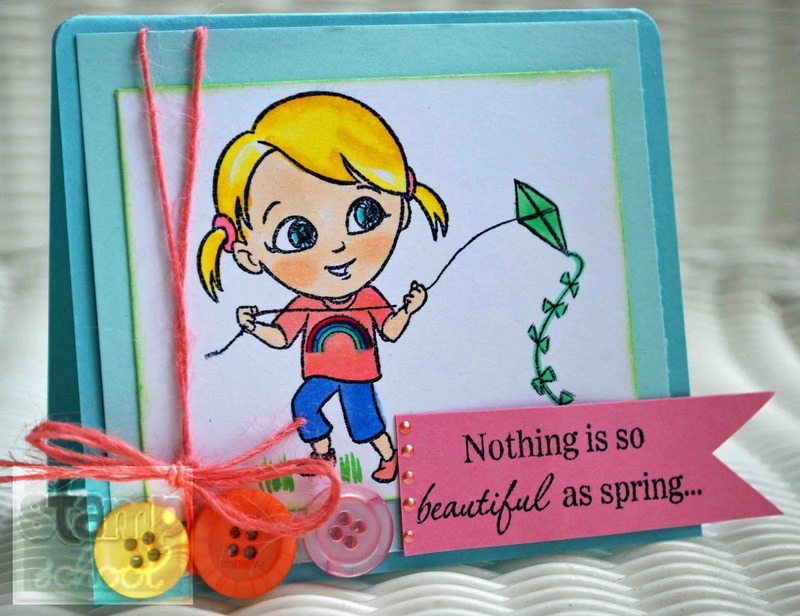 Love your buttons and the pennant sentiment! So cute! Loved the use of color on this fabulous card! Super adorable card Amber! The little girl image is so precious and I love the banner! Hannah reminds me of you!!!! Cute stamp and getting to change her clothes is a great idea. Love those colors.